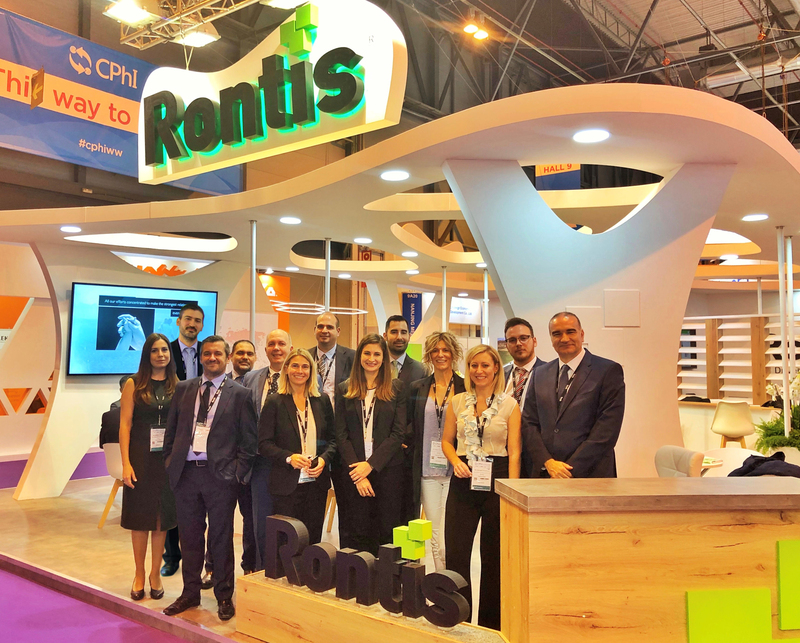 Rontis continued its successful presence in the world’s largest global pharmaceutical exhibition CPhI, participating as an exhibitor for the 6th consecutive year. This time, the event was held in the IFEMA centre in Madrid, Spain, from the 9th to the 11th of October 2018 and united more than 44,000 pharma professionals from more than 160 countries, in the presence of more than 2,500 international exhibitors. As part of the exhibitions’ schedule and related events, various aspects of the pharmaceutical industry were presented and discussed, including ground-braking approaches such as cell and gene therapies, biosimilars, new manufacturing and processing techniques, while covering all sectors of pharma chemistry, from active pharmaceutical ingredients and finished products to bio, generics and new chemical entities. During the exhibition, Rontis had the opportunity to engage the global pharmaceutical community and present the specialty products developed and manufactured from all the divisions of our company. Always faithful to our goal in establishing a prominent position in the global pharmaceutical industry, we look forward to participating in the next CPhI 2019 in Frankfurt, Germany!